Is it possible to sort out Mailo? Does artiste really need a foreign video director? When an interim report by Justice Catherine Bamugemereire, of the similarly-named Land Commission, last month recommended the abolition of the Mailo Land Tenure system, heckles were immediately raised. President Yoweri Museveni had named the Commission last year to look into the anomalies created by Uganda’s land tenure system, which is interlocked into Mailo, Freehold, Leasehold and Customary appendages. Many people assumed and suspected that the whole thrust of the Commission was to appropriate huge chunks of land for Uganda’s grasping ruling oligarchs. True, the Commission has so far detected irregularities involving other individuals and entities, too, in illegal land dealings, including robbing innocent and helpless owners of their land. But when the issue of Mailo was raised, the Buganda Kingdom officials said that the kingdom was being targeted. Almost immediately, another development took place. 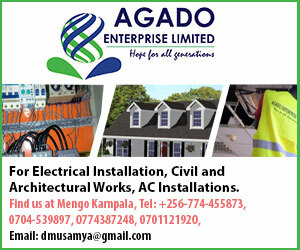 Museveni was with the Katikkiro, Charles Peter Mayiga, talking about returning Buganda’s properties that were seized by the Central Government, following the 1966 debacle that pitted Prime Minister Apolo Milton Obote against Kabaka Edward Frederick Mutesa. The meeting appeared as intent to sweeten the Mailo take-over. Some people have attempted to delve into the problem with a view to solving it over time, but without much ado. The latest of note is a group of Uganda exiles in London, the UK, who have published a book titled, “Uganda – Land Issues Revisited”. And with a un-characteristically lengthy sub-heading, the authors say, “Redressing the Historical Injustices and Imbalances and Addressing the Contemporary Anomalies and Malpractices to Re-engineer the Future”. Under the auspices of what they call, Think Tank Uganda and ALCRA – or, the Acholi-Luo Cultural Academy, the 346-page tome was published by the Studies Forum International in October 2015, and edited by Rogers Olal-Uma Wodolobo. He leads six other academically-eminent and professional think-tankers who include: John Obwona-Lanan, Stephen Buntu-Bwona, Terence Okello Palto, Opiyo Oryema, Andrew Magoola and Samuel Olara – all based in the United Kingdom. While the Bamugemereire Commissioners were recently in London, they should have had the opportunity to have visited the group. The hefty 83-Contents pages along, with the Epilogue and Executive Summary of the book, ably summarize the intents and scope of the study. It covers the entirety of Uganda land tenure system and how all the major tribes factor into it. The contents cover nine chapters. Each chapter deals with an overview of the each tenure system and its appendages, explains it and passes out recommendations on the pertinent case. Mayiga, the Bamugemereire Commissioners and the NRM Government functionaries would do well to take a closer look at Chapter Six, which deals with, “Further Studies on Land Issues in Uganda”. 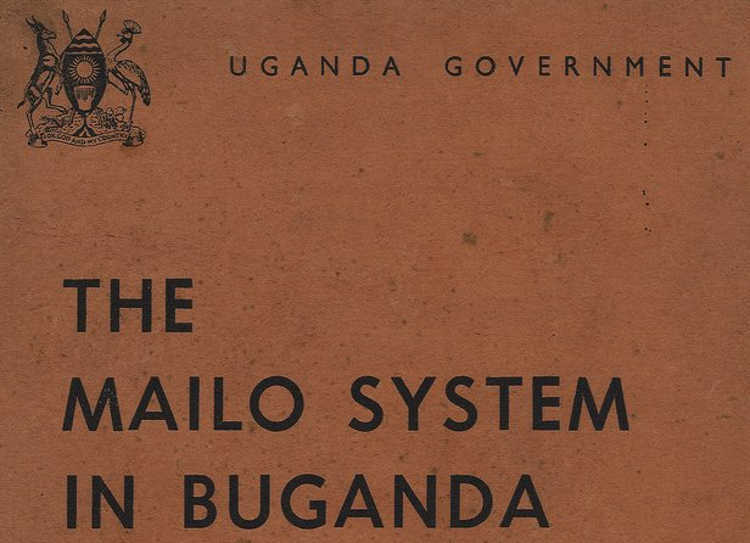 This deals with the four-tier land system in Uganda, but of particular interest, is the Buganda land case, which is dealt with in pages 143-159. Obviously these spills over to the next paragraph which attends to “land conflicts”, where we are currently at. Bamugemereire is probably putting the issue of the NRM “transfer” of land on this basis. In other words, the authority of the Kabaka is being substituted by that of the NRM Government that seeks to transfer the Mailo land “at will”. But that is where precisely the hackles are rising from. The authors delve into this by trying to address the issue, admitting that the 1900 Buganda Agreement has created a “stalemate that continues today and which subsequent laws from [President Idi] Amin’s 1975 Land Reform Decree to the current 1995 Land Act, had tried to settle, without success.” It is reflects a “unpleasant partnership” of people who own land they do not use, and another set of people who use the same piece of land without ownership. This Mailo land is composed of 9, 050 square miles divided into: the royal family of Buganda Kingdom and high-ranking officials, who get 958 sq. ms. This is referred to as private Mailo. Another 8, 000 sq. ms., was for about 1, 000 chiefs and notables. Finally, the Buganda Government gets 92 sq. ms. This is the dilemma that has come down from the Colonial history and administration. And ultimately, will the Bamugemereire Commission resolve the use and non-ownership of this land? So far, they seem to be backtracking from it. In London, Wodolobo and his colleagues will only justify their academic exercise if their recommendations will eventually settle the issue and calm the frayed nerves that constantly surface when the complex land tenure system in Uganda is revisited.